The United States, The Soviet Union, China and… Penn State University? 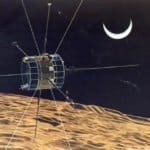 A RocketHub campaign is seeking $400,000 in an effort to fund a lunar landing. The vessel is called the “Lunar Lion,” and it is being developed largely by Penn State undergrads under the supervision of PSU researchers. 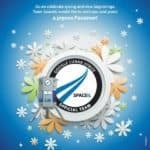 It’s an incredible opportunity for the students involved in the project. One student summarized the opportunity he had in front of him: “I helped put something on the moon before I finished my undergrad.” Quite a bullet point for the résumé. There is a pretty sizable prize at stake, too. Google has offered up a $20 million bounty for the first private organization to land on the moon. 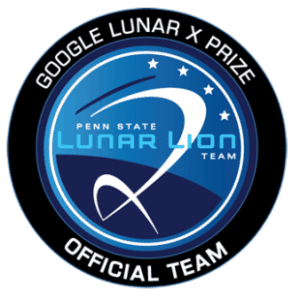 The Lunar Lion team at Penn State is vying for that prize, dubbed the Google Lunar XPRIZE. Are they serious? You bet. They already have a launch date set for a little under two years from now. The design of the spacecraft is said to be complete, too. Funding is the major hangup, so the team has taken to RocketHub to close the gap. RocketHub has a good base of campaigns and interest in science and technology, so the choice was a pretty natural one for this project. To entice contributions, the campaign offers rewards that give backers the chance to send messages of their choosing into space. The craft isn’t coming back. It’ll remain on the moon for tens of millions of years according to the campaign page. Backers can even have messages broadcast back to Earth from the lunar craft. Of course, you can’t go to the moon for $400,000. Penn State expects the entire project could cost $60 million according to the Onward State blog. PSU is expected to pony up $10 million from savings and will seek $20 million via corporate contributions and $30 million via philanthropic contributions. The RocketHub campaign is part of the latter effort. 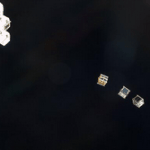 It’s just the latest crowdfunding project to take aim at space. 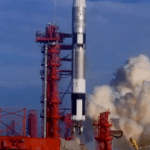 Recently an initiative was launched to crowdfund a mission to Mars, and a handful of Kickstarter-funded satellites were released from the International Space Station in November, for example. 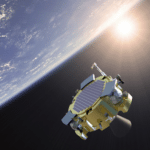 This entry was posted in Offerings and tagged google lunar xprize, lunar lion, moon, penn state university, research, rockethub, science, space. Bookmark the permalink.